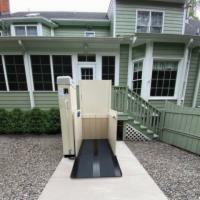 Vertical Platform Lifts provide an instant solution for gaining access to other levels for scooter, power chair, and wheelchair users. We have a trained staff that can help answer any questions you may have. 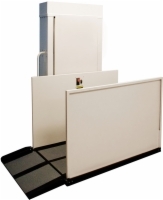 Please call us today to find out about the deals we are currently running to find the best deal on a new vertical platform lift. 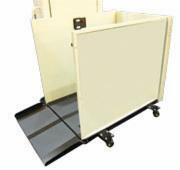 This reconditioned vertical platform lift has a 750 lb. weight capacity and a solid platform. Residential use. Reconditioned AmeriGlide Hercules II 750 Commercial VPLs boast a 750-lb. capacity. 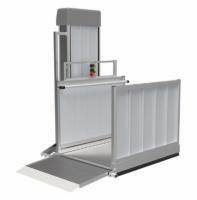 These lifts are configured to meet most code requirements right out of the box! AmeriGlide Hercules II 750 Commercial VPLs boast a 750-lb. 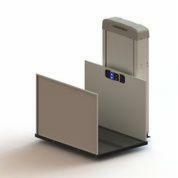 capacity and options are available to extend their maximum heights up to 171 inches. 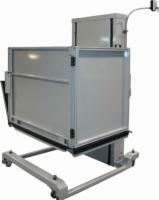 These lifts are configured to meet most code requirements right out of the box! 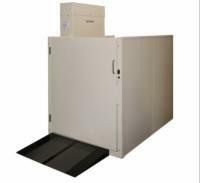 The Passport is a powerful and affordable vertical platform lift that can fit any budget! 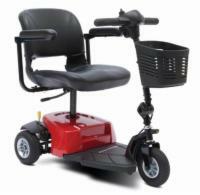 This lift is perfect for those who want a powerful lift without a permanent installation. Enjoy many of the great features of a residential elevator all for an incredible price! 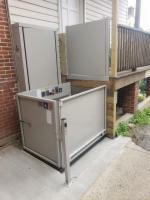 This model is ideal for both indoor and outdoor installations.